My name is Layan Nijem. 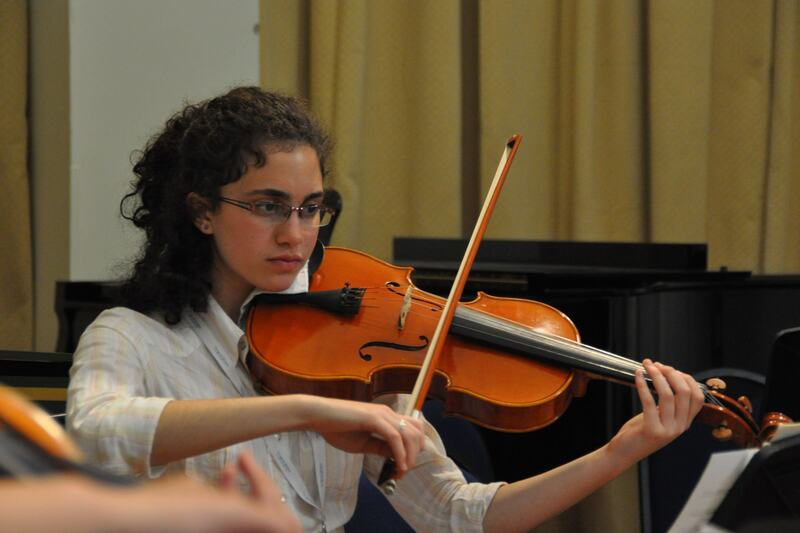 I am a viola student in Edward Said National Conservatory of Music -Palestine. I am going to start my undergraduate studies on viola in fall 2014 in the Royal Northern College of Music in England. I was awarded a scholarship to attend 3 weeks of music making at the Ingenium Academy in summer 2012. Choosing three words to describe my experience at the Ingenium Academy was one of the most difficult tasks I was asked to do. Not because it was hard to find words, but because no three words are enough to express what I have gained from such experience. When I had to limit the adjectives to only three, "Amazing, extraordinary, and wonderful" were the words I picked. The Ingenium Academy is a music summer school that provides the finest music education in a very warm and loving atmosphere. The Ingenium Academy was my first international music interaction on a professional level, which indeed had a great influence on me and my musical path. Ingenium Academy was one of the most rewarding music experiences to me. It has a very friendly atmosphere with its lovely staff, yet at the same time it enhances music professionalism by providing one of the best tuition. At the Ingenium, many of my musical skills had improved. I got the chance to meet with and learn from prominent musicians; guest musicians such as players from City of London Sinfonia gave us a number of master classes. Teaching at the Ingenium did not only focus on the practical aspect of playing, it offered a holistic approach by providing many workshops that introduced us to other aspects of music such as conducting, musicianship, improvisation... In addition, it helped me to create connection with professional musicians. The Ingenium Academy offers education on very high standards, assures providing top musicians to convey it, and offers a platform for nurturing talents. Ingenium Academy is a cross cultural program that teaches us to embrace the differences through music. It brings students from all around the world to share their passion of music together. 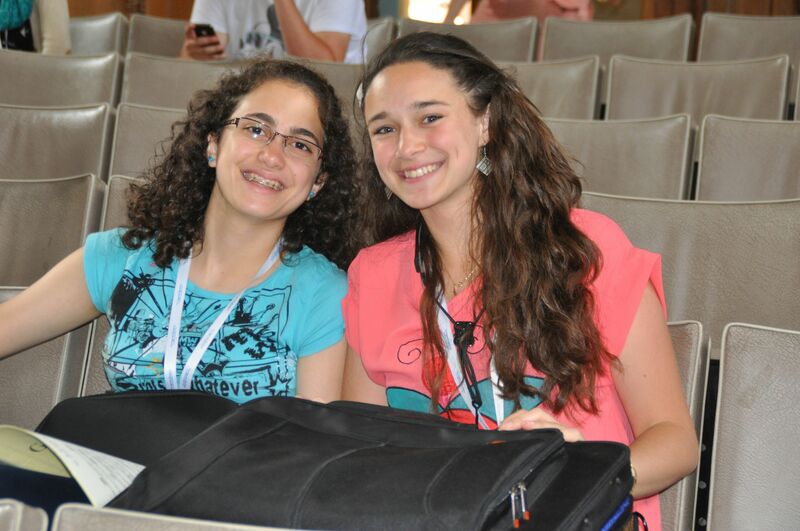 Despite the fact that everyone is from another part of the world, Ingenium connects us to become like a real family. All of us are different, yet each one adds a special taste to the course. I learned how to live with other people and accept their differences. I created long lasting friends that I am still in touch with until this day. Ingenium Academy did not only teach me music, it also made me a better person. During my time at the Ingenium, I came to know myself better. It helped me to become a more confident musician. The academy simultaneously polishes music potentials and prepares students academically to become capable of being real musicians. At that time, I had not decided what I wanted to study yet. I wanted to study something that has to do with music; music education and musicology were my choices. Nonetheless, after the Ingenium I came to the realization that I wanted to study the viola and not hide my passion to music behind the academic studies. Ingenium Academy had a significant influence on me since I was motivated to study what I enjoy doing the most. The effect of Ingenium Academy on me has exceeded my expectations. Not only I became motivated musically, I was also inspired to apply to colleges in England. I always feel attached to the Ingenium Academy. Despite the fact that it has been almost two year now, I still feel integrated with the academy and its activities. The Ingenium Academy has given me so much support and knowledge. I am very thankful for all I have learned from there which will definitely aid me in my music career. I would definitely love to be back to the Ingenium as a staff, when I attain my studies, to share the passion of music and spread the message I have once learned from it. I would have never been able to attend the Ingenium Academy in 2012 without the financial support I received. The academy is based on high standards. As a result, trying to maintain this top quality requires a lot of energy, effort, and money. Therefore, the fees of the course are expensive. As a Palestinian, living in a difficult political situation, with the scholarship I received, I was able to get introduced to music from a different aspect. I was able to take part in the Academy, learn music, and know the real me. These scholarships allow discovering the talents of many young musicians with a lot of potential, yet did not get the chance to receive such top quality education and grow. It is not fair for the less fortunate people to miss such an amazing experience. Ingenium Academy has a great impact on my life. It is indeed the most remarkable and marvelous experience I have ever had. Seeing all the progress and success the Ingenium achieves year by year cannot make me less than proud. I was very lucky that I got the chance to be a part of it. All the experiences I had at the Ingenium have made me ready for both the academic and social aspect of college. One can never fully grasp what the Ingenium is unless he/ she lives it. It is beyond what words can describe. It is a fusion of personal memories, feelings, knowledge, experience and more.